THE MAYBELLINE STORY : BONO - STUDIO MALI AND THE MAYBELLINE STORY. BONO - STUDIO MALI AND THE MAYBELLINE STORY. Tama Walley and Paul Chandler are a young married couple, living and working in Mali West Africa. They are striving to make a difference in the world, while making their dreams a reality. 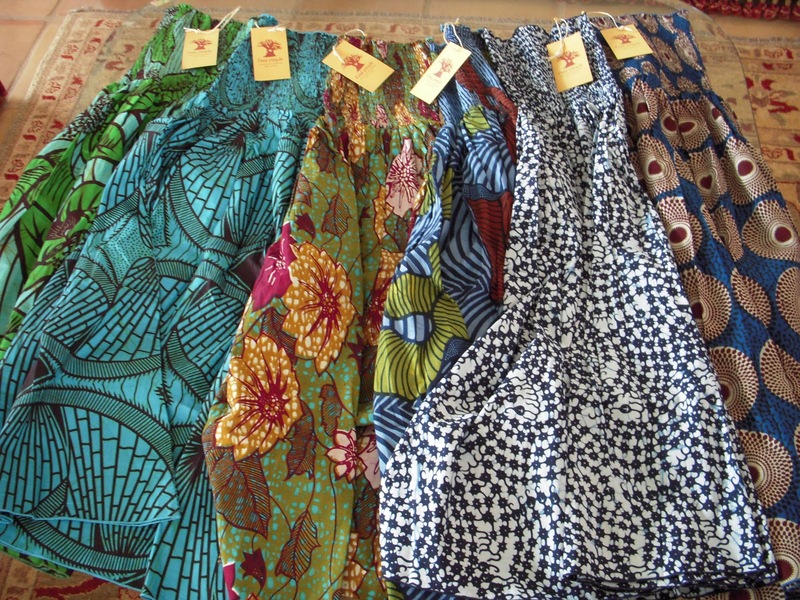 Tama designs her dresses, using Malian cloth, takes her patterns and cloth to Bali, where she teaches yoga and massage, and has them sewn into the most adorable sun dresses. Tama, also designs her own Mali Bags, and brings them to the United States and sells them during the Summer. A few are left for purchase at www.maybellinestory.com. 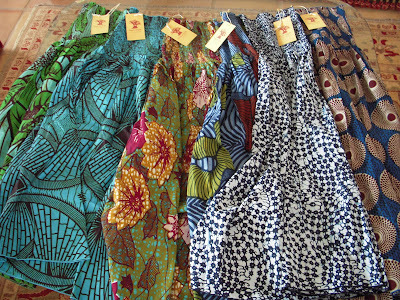 She also has a line of Mother and Baby, Summer dresses, that are head turning and I hope to have available at the Maybelline Store Summer 2012. 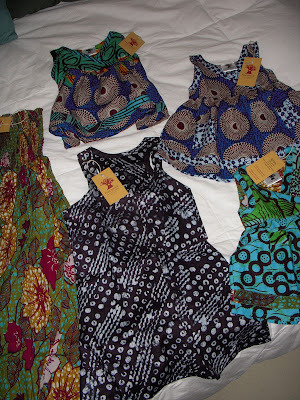 How cute are these little girl dresses that match Mom's African print Summer Dresses. Tama and I met in Maui, while we were doing Bikram Yoga during the Summer of 2003. She was in the process of purchasing the Bikram Yoga Studio, and encouraged me to become Bikram Yoga instructor my self. It was during this process, I decided to finish The Maybelline Story, and not go to Bikram Teacher Training. Tama and her husband Paul started a non-profit Charity in Mali called Instrument​s 4 Africa. Lister to her speak while touring the Togola community center. Instrument​s 4 Africa is partnering with the Togola Community Center in Bamako, Mali to provide quality education and mentoring. A portion of the money from Tama's dresses and bags, goes directly to Instruments 4 Africa, and because of her incredible mission to help raise the quality of life for her kids, I have donated portion of every Maybelline Story as well. 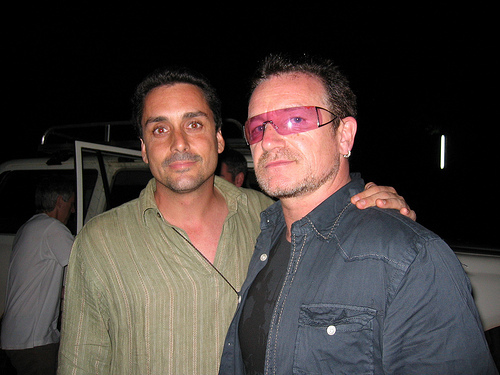 BONO with Paul Chandler in Bamako Mali. 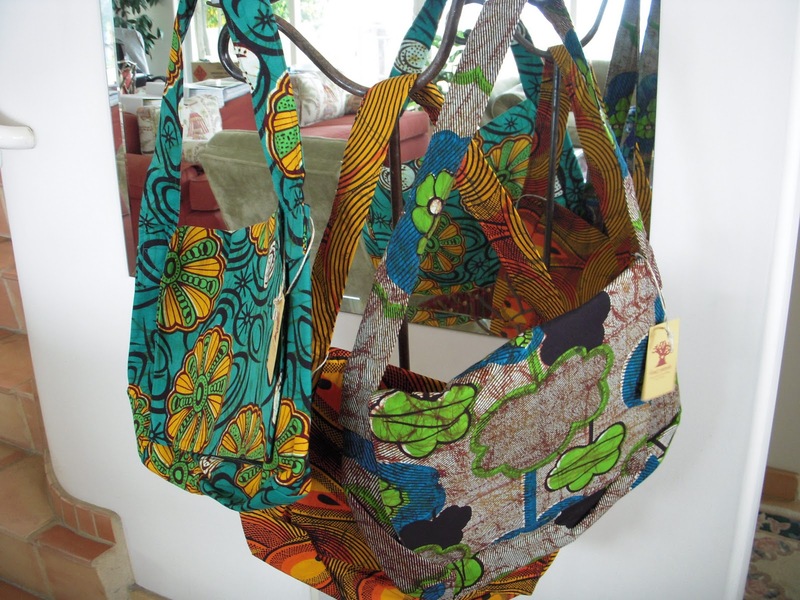 Tama's husband Paul Chandler, is the director of Studio Mali, and is an artist, educator and producer, living and teaching in Mali since 2003. He is a certified teacher of music and language arts at the American International School of Bamako. STUDIO MALI is a production company, record label, recording studio and artist management organization based in Bamako MALI, that produces events/organized projects in Mali for National Geographic, NY Times, Carnegie Hall, USAID, Johns Hopkins/Bloomberg School of Public Health, UNICEF, US Department of State and BONO’s non-profit organization DATA.